Major League Baseball’s fifth Jackie Robinson Day is being celebrated on April 15th. All players will wear the number “42” in honor of the man who broke baseball’s color barrier. At the same time, the much anticipated Jackie Robinson “42” biopic is scheduled to be released soon. 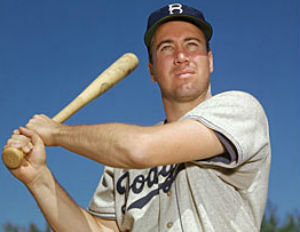 Today, we have a quote from a Hall of Famer and former teammate of Robinson, Duke Snider. He discusses the importance of the man who broke baseball’s color barrier.